Three children who were missing after a double homicide in Detroit on New Year’s Day were found safe and sound, according to reports. 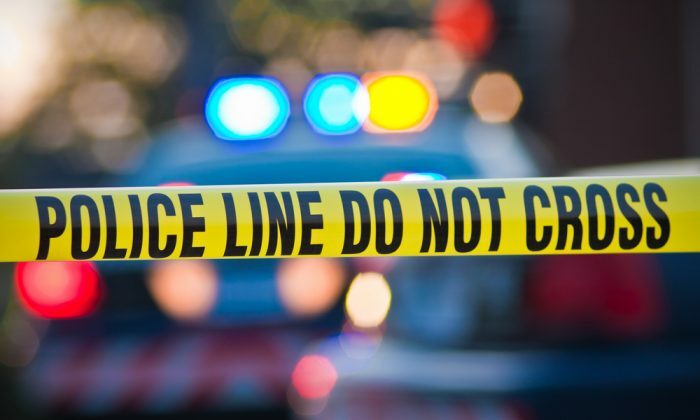 Police were initially worried for the children who are 8, 12, and 15 years old, after their mother was shot dead in their home on Detroit’s east side, according to the Detriot Free Press. After police received tips from the public, the three children were found safe and staying with a relative. Authorities have arrested a suspect in connection with the shooting. Detroit Deputy Chief Elvin Barren told reporters on Jan. 1. that police found the body of a 36-year-old woman, who was getting divorced from the suspect, and the body of a 35-year-old man in the couple’s home in McKinney. Both victims were found fatally shot in the head. The search for the suspect started after police recieved a call at around 2 p.m. on New Year’s Day, the Detroit News reported. The caller said that his friend had just told him that he had killed his estranged wife. The suspect has a 15-year history of domestic violence with his wife, according to the news outlet. The suspect’s name and the victim’s names have not yet been released to the public. Barren told reporters that the woman had a personal protection order against her husband. The suspect also had a dangerous weapons charge in 2009. Police coordinated with a SWAT team, and the suspect surrendered peacefully with six other adults in Redford, Michigan. The male victim was a mutual friend who was trying to help them through the divorce process, Barren said. He was fatally wounded in an exchange with the suspect. Police continue to investigate the case to establish the root cause of the shooting.